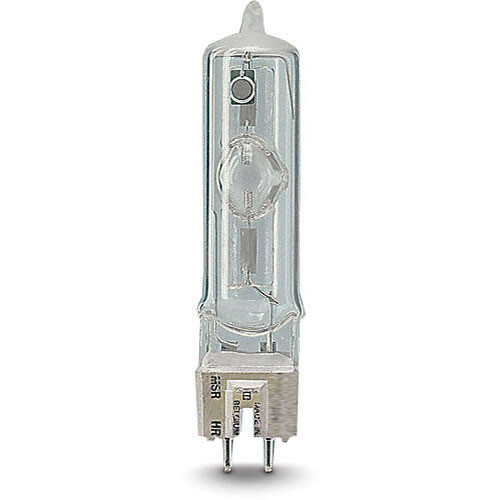 This Sylvania HMI200WSE HMI Lamp (200W/70V) is a single-ended metal halide bulb used in theatrical, studio and specialty lighting applications. It has a color temperature of 6,000K, a GZY9.5 base and a lamp life of 200 hours. Box Dimensions (LxWxH) 5.8 x 1.9 x 1.7"